Dr. Adam Annaccone is an Elite Practitioner and Director of Performance Healthcare Education and Integration for Baylor Scott & White Sports Therapy & Research at The Star. He is a Board Certified Athletic Trainer, a Corrective Exercise Specialist, and a Performance Enhancement Specialist (PES) from the National Academy of Sports Medicine (NASM). Dr. Annaccone has extensive experience providing injury and illness prevention, wellness protection, clinical evaluation and diagnosis, emergency care, treatment, and rehabilitation. In addition, he has provided health and well-being skills to patients and athletes from amateur, collegiate, and professional backgrounds. Prior to moving to Frisco, Dr. Annaccone spent the past three seasons with the NBA Phoenix Suns as a member of their highly regarded sports medicine staff as Director of Performance & Recovery. In addition, he has served as an independent contractor for Fusionetics, a performance healthcare system, traveling the globe with high-profile professional athletes. The program is designed to reduce injuries, decrease pain, optimize performance, and speed recovery. He has also served as an instructor within various accredited undergraduate and graduate athletic training programs, most recently, Slippery Rock University of Pennsylvania. 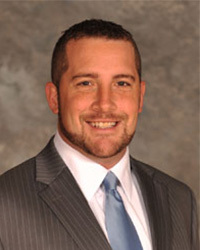 In 2013, he was recognized by the National Athletic Trainers’ Association with the NATA Young Professional’s Committee National Distinction Award. Dr. Annaccone has been an active member in the profession of athletic training, serving on various local, regional, and national committees, most recently in Arizona as a member of the Arizona Athletic Trainers’ Association Government Affairs Committee. He holds a Doctor of Education (EdD) degree in Administration and Leadership Studies from Indiana University of Pennsylvania, a Master of Education from Clarion University, and a Bachelor of Science in Athletic Training from Duquesne University. Corinne Smith is a Professor and Program Coordinator for the Health Information Management and Coding Certificate programs at Montgomery College in Takoma Park, Maryland. She is an adjunct faculty member in the Health Information and Informatics Management graduate program at University of Maryland University College. She has been an educator for more than 18 years and contributed to course and curriculum design at several online and campus-based health information management programs. Before working as a HIM educator, Corinne held management and health IT positions at healthcare organizations in the Maryland/D.C./Virginia area. Corinne is an active volunteer for the American Health Information Management Association and its D.C. chapter. She serves AHIMA as Chair of the Professional Certification Approval Program Board of Directors, as a Faculty Badge mentor and as a member of the Council on Education Program Planning Committee. She is a past-President of DCHIMA and has served in many roles for DCHIMA over the past 20 years. 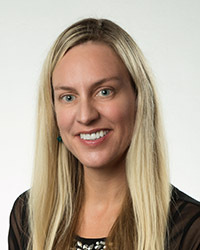 Dr. Justine Reel is an Associate Dean of Research and Innovation and Professor within the College of Health and Human Services at University of North Carolina Wilmington. Prior to this position she served on the faculty at University of Utah, West Chester University, Temple University, and Salem College. At University of Utah she most recently worked as the Director of Graduate Studies and an Associate Professor in the Department of Health Promotion and Education. She is a Licensed Professional Counselor in the states of North Carolina and Utah. Since 2009, as a certified mental performance consultant (CMPC), she has worked with athletes from diverse sports in Olympic, college, high school, and youth sports. Her research and health education specialty areas include obesity and eating disorder prevention. She led the development and implementation of an exercise education program to address dysfunctional exercise patterns within eating disorder patients. Dr. Reel has published the following books: Filling Up: The Psychology of Eating, Hidden Faces of Eating Disorders and Body Image, Eating Disorders: An Encyclopedia of Causes, Treatment, and Prevention, Working Out: The Psychology of Sport and Exercise, and The Female Athlete Triad along with over 100 manuscripts and book chapters. She received her doctorate and master’s degrees at the University of North Carolina at Greensboro.